What is Micro-Needling? | 3 Ways It Can Improve Your Skin! Thus micro-needling, also known as collagen Induction Therapy (CIT) or percutaneous collagen induction (PCI), was born. Micro-Needling improves your skin's firmness, thickness, elasticity, wrinkles, and texture. The top layer of skin is called the epidermis. It varies in thickness depending on the area of the body. For example, the soles of the feet have the thickest epidermis, but on the eyelids it's very thin. The dermis is the middle layer of skin just below the epidermis. Because medical micro-needling targets the dermis, different needle lengths are used depending on the epidermal thickness. Varied lengths get the best penetration (down to the dermis) - and the best results. Micro-needling uses very short, very thin needles to make channels in the skin. It starts new collagen and elastin growth which can continue as long as a year after treatment! Collagen is a protein that gives skin its structure. It works with elastin like a netting to hold skin cells together. We have lots of collagen while we are young. It gives us our smooth, youthful appearance. As we age, collagen starts to break down, skin thins, and we develop fine lines and wrinkles. Elastin is another skin protein. It helps skin return to its original position after it is stretched or contracted. As we age, elastin is made more slowly than when we are young. The loss of these proteins, and the resulting structural changes, are the reason mature skin takes longer to go back to its original position after being stretched or pulled. Along with collagen and elastin in the dermis, hyaluronic acid (the glue that holds elastin and collagen in place) changes as we age. As early as in our forties, this acid starts to decrease, also causing decreased elasticity in our skin. Micro-needling allows reintroduction of hyaluronic acid through microscopic channels so that it can penetrate the skin making it more plump and firm. These changes, induced by micro-needling, result in your skin’s thickness being increased by as much as 40%. Changes in skin color are mostly caused by aging and sun exposure. When your skin is pierced with the needles of the micro-needling pen, some of the skin cells are damaged. Those cells are too damaged to function and our bodies immediately start removing the damaged cells and replacing them with new cells. So micro-needling reduces areas of hyper- and hypo-pigmentation, age spots, etc., by speeding up skin turnover. Learn more about skin color changes in our posts, Light Spots & Hypopigmentation - 9 Ways to Fix Them AND What are hypo and hyperpigmentation? Why do some people get color changes with skin treatments? Micro-Needling improves scars and stretch marks. In most ways, scar tissue is not that different from normal skin. It is very different, however, in its appearance. Scars have large amounts of collagen, but the collagen in a scar is thick and woven in a different pattern than that of normal skin. Our bodies fix things that are broken. Scar tissue, while not attractive, is seen by the body as normal. Micro-needling a scar forces the body to remodel the scar and triggers a healing response. Our bodies don’t replace the scar tissue completely, especially if the scar is deep; but they do replace the parts that are injured by micro-needling. This type of scar reduction creates a mixture of scar tissue and normal tissue. It results in a smoother, better looking, and softer scar. Indented scars fill and raised scars flatten. It doesn't work in all cases; but in most people, it does work. Needling a hypo-pigmented scar will also cause migration of pigment producing cells from the surrounding skin into the scar, improving its color. For more information, go to our Scars and Stretch Marks page. Medical Micro-needling | A Great Alternative to Lasers! 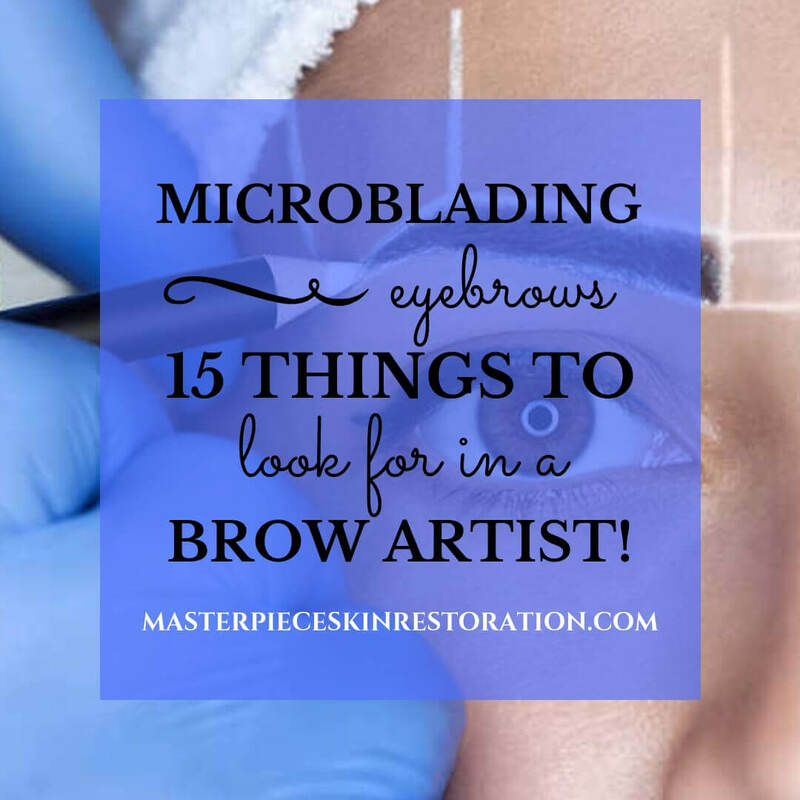 Not sure micro-needling is what your skin needs? Read our blog post, You’ve decided to do some skin rejuvenation, but how do you decide what to work on first?